STRATTON, Neb. — Joel Richardson of Stratton has lost his best friend, and he and his wife, Ronnie Ann, are hoping that a warning will help others prevent the same type of devastating loss. “Use a flea and tick treatment on your pets,” Ronnie said. “We’ve cried for days,” Ronnie said unashamedly. Nikki died of meningitis, a neurological disease caused by, among other things, Lyme disease, the most frequently found tick-transmitted disease to afflict both pets and humans in North America. Lyme disease is caused by a bacteria that can be transmitted to a pet through a tick bite. About a month before Nikki got sick, she and Joel came home from a work site, and, Ronnie said, Nikki “was covered in ticks. We put Frontline on her.” But it was going to prove to be too late. Nikki’s first trip to the veterinarian at Red Willow Animal Clinic in McCook showed that her blood work was okay. But nothing improved, things started getting worse and Nikki was taken back to the clinic. “It had started to affect her nervous system. She was walking into things … she couldn’t see,” Ronnie said. Ronnie and Joel encourage all pet owners to use flea-and-tick treatment on their pets. “A week before she got sick, Nikki was playful and happy and jumping around. By Tuesday, she was gone,” Ronnie said. 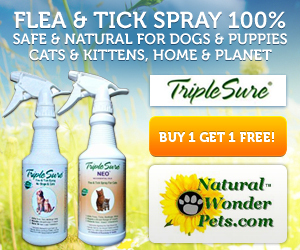 Tick treatments are an effective way to repel ticks from pets, but even the best ointments out there don’t offer a 100 percent guarantee. Experts say that pet owners must check their pets’ bodies for ticks after they’ve spent time outside and remove the blooding-sucking demons. If a pet dog suddenly seems depressed, won’t eat, or appears to be in pain when he moves, a tick bite could be to blame. When symptoms appear, head to the vet immediately. The symptoms of meningitis can vary depending on how ill the dog is. 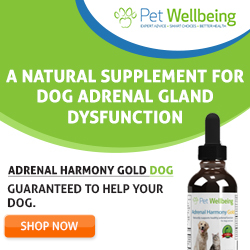 Common symptoms include fever, muscle stiffness or spasms (especially in the neck, back, and forelegs), rigid or unsteady walking, sensitivity to touch, lethargy, weakness, loss of appetite, vomiting, depression, head tilting and low blood pressure. In advanced cases, symptoms include blindness, severe depression, seizures, paralysis, disorientation and confusion, loss of muscle coordination, uncontrolled movements or abnormal walking, and agitation or aggression.